Hey folks! 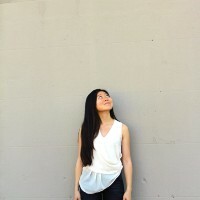 I’m Shirley, one of Figma’s new summer interns. My first project here was a fun one — the team tasked me with building Guides (alongside fellow engineer Kenrick Rilee). From the dawn of Figma time, our users have begged us for this feature. Appeals rolled in morning, noon and night — 100 requests in the last six months alone, from places as far flung as Lagos, Nigeria and Buenos Aires, Argentina. We heard you loud and clear, which is why Figma put me on the case when I started here. For those unfamiliar, Guides are horizontal and vertical lines that you can use to position your designs. Unlike our Layout Grids, Guides are a little faster to create and manipulate. To see Guides, enable the ruler view (main menu → view → show rulers). When you hover over the vertical or horizontal rulers (which are pinned at the top and side of the canvas), the offset number will appear and you can click it to create a Guide. They appear as thin red lines and can be dragged to different offsets — you can also click multiple offsets on the ruler to populate several Guides at once. To remove Guides just select them and hit delete, or drag them off the screen. Guides will also disappear if you disable ruler view. One fun feature: If you drag a Guide into a frame it becomes a frame level Guide. That lets you keep your canvas a little cleaner for those of you going Guide-wild. Guides only work on top-level frames, so if you drag a frame with Guides into a different frame, the Guides will disappear. If you change a Guide’s position on the canvas by accident, you can undo the change with the command z shortcut. You can also nudge a Guide by pixels with arrows. How do you feel about Figma Guides? We’d love to hear your thoughts on the feature, so shoot us a line at support@figma.com or sound off in the comments. And if you’re interested in a Figma internship like mine — or a full-time gig — check out our careers page!